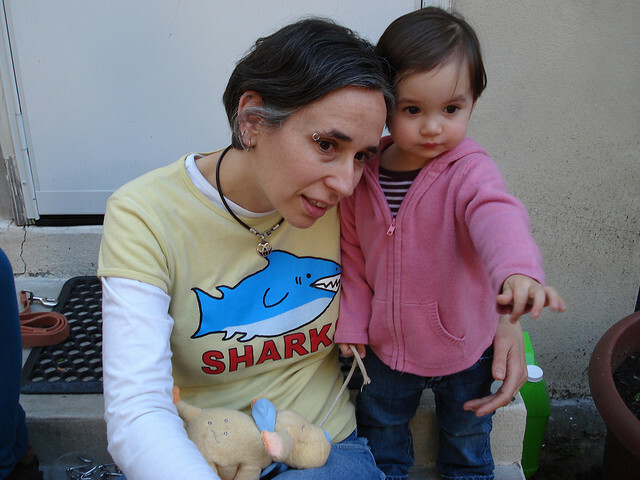 Years in Philly: almost 5! I am: a planner, preservationist, writer, maker, grower, and beagle enthusiast. Years in Philly: On and off since 2005. Happily on again since 2011. I am: An architect/urban designer who loves the last 20 minutes of the 1995 movie Felony. Look it up and then thank me. Editor’s note: The interns of Campus Philly share their most loved Philly spots and experiences as students in the City of Brotherly Love. I am: A full time student at Temple University and a city explorer extraordinaire. I am: A real estate agent who is also Exec. VP of Queen Village Neighbors Association. A woman with a dog who loves all dogs. My dog and I love having such a beautiful and historic park nearby. We love the trees, the strawberry patches and the mulberries in spring, the dogs playing in the snow in winter, the colors of fall and the wonderful scent of wild camomile. It is our little bit of country in the city. I am: Web designer, business owner, aspiring green real estate developer and ameteaur Ruin Pornographer. 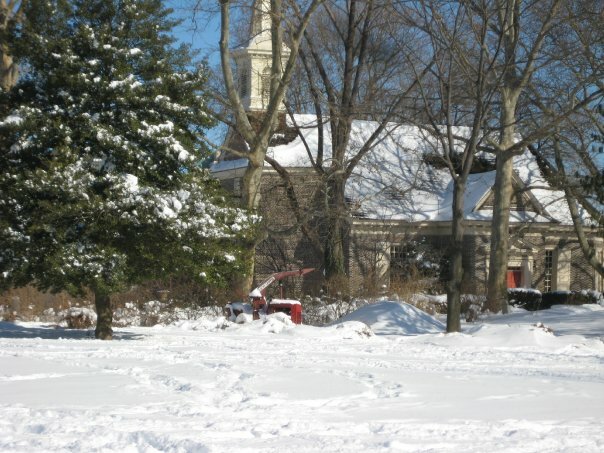 My love note: There are so many things I love about this City — Center City Pretzels, Belmont Plateau, The Whispering Benches near Memorial Hall — it was hard for me to pick one. I came to realize the thing that brings me the most day-to-day happiness is Philly’s stoop culture. I live on a little street connected to other little streets and hanging out on the stoop with neighbors is an almost daily occurrence in the warm weather months. 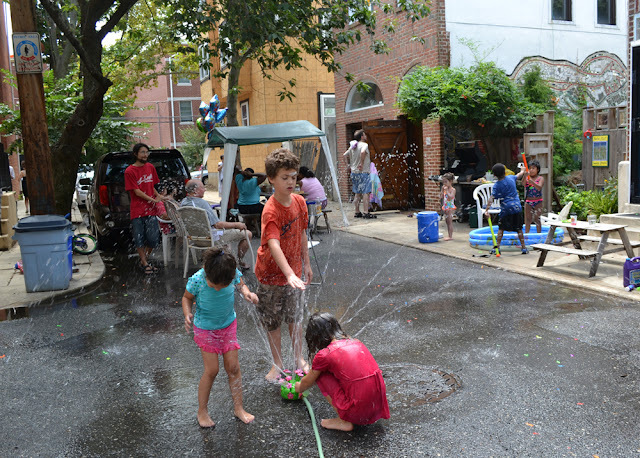 I’ve lived on my block for 13 years and I have sat on my next-door neighbor’s stoop and watched little kids grow into teenagers. I’ve watched the process of kids learning to yell “CAR!” when a car is coming and then teaching it to the little kids when they have grown up into big kids. Nearly all of my neighbors know each other and we have spent countless hours talking, laughing, eating and drinking on the stoop. We’ve played Rock Band and watched movies and Phillies games projected onto a wall at night. 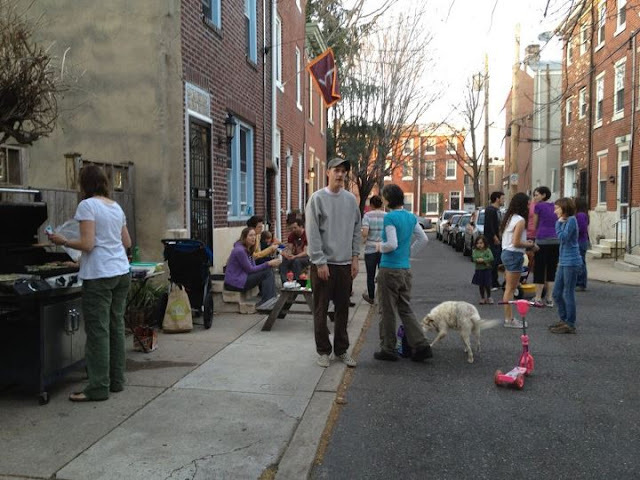 We’ve wheeled out BBQs and pulled chairs into the street for spontaneous block parties. 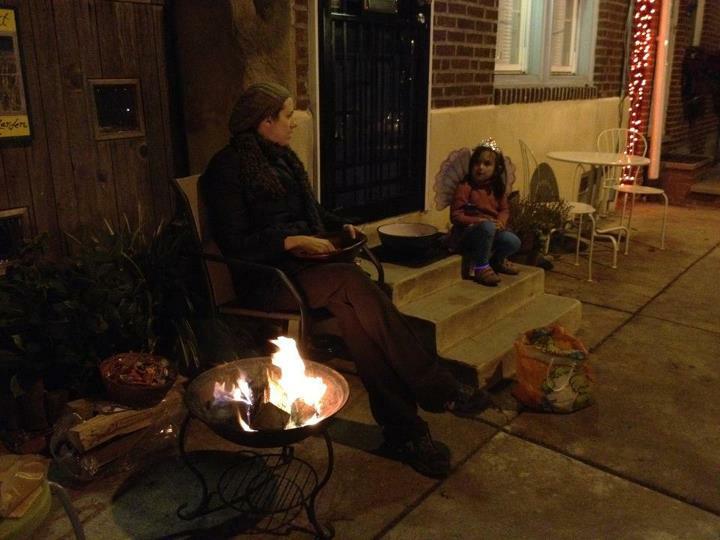 Last Halloween we cooked and handed out S’mores to trick-or-treaters. And for our 6 year old’s birthday we closed down the block and turned it into a homemade sprayground. Recently me, the wife and the kid went on our first family vacation in years. The day after driving back from our roadtrip I hung out with neighbors on the Stoop and it felt like the best day of vacation. It made me realize how incredibly lucky we are to live on this great block in a great neighborhood in this town I absolutely love.